On a quiet weekend in April, the Spoonflower Greenhouse was bustling with creativity as 12 students from all over the country came together for the Spoonflower Handbook Master Class taught by co-author, Becka Rahn. Today, Becka visits the Spoonflower blog to share her experience teaching the first of this one-of-a-kind class! Want to reserve your spot for August’s master class? Click here to learn more. 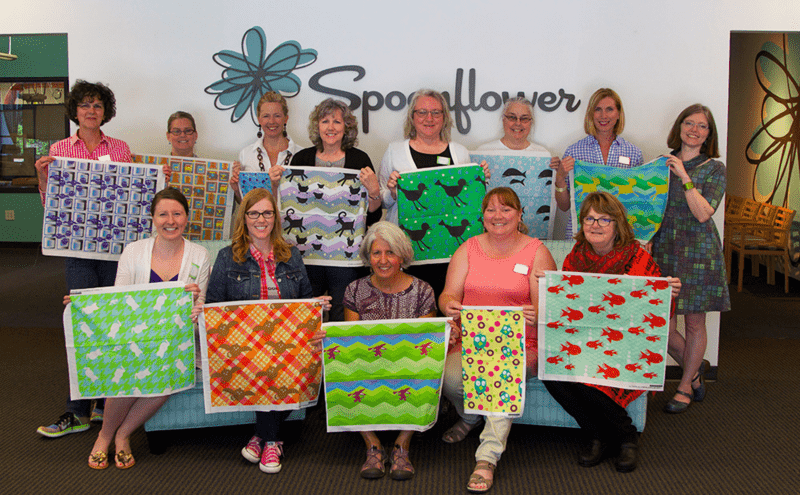 Spoonflower Handbook Master Class students proudly show off their custom designs created over the weekend. Becka: Just a few weeks ago, a group of twelve aspiring fabric designers met at Spoonflower Headquarters to spend 18 intense hours immersed in vectors, Illustrator and inspiration. I got to be their teacher. The first-ever Spoonflower Handbook Master Class was everything I had hoped it would be and so much more! 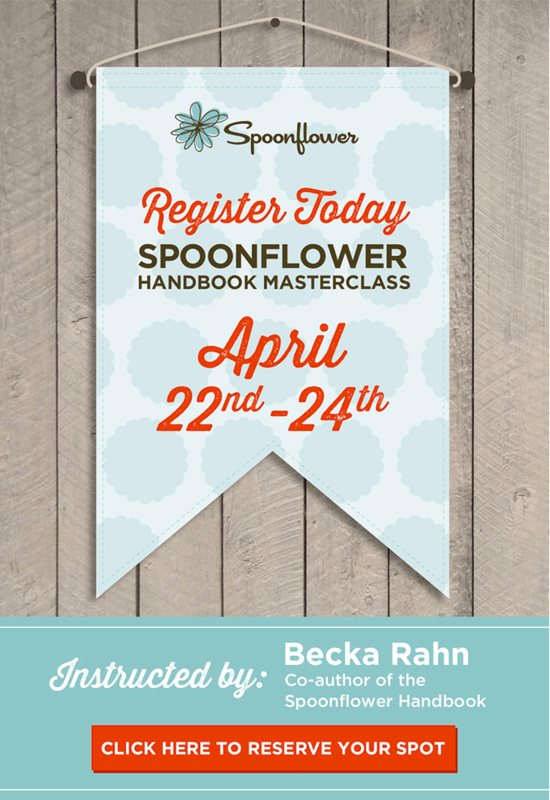 Register Today for the Spoonflower Handbook Masterclass! Are you stuck in a designing rut and need a guiding hand to take your skills to the next level? Have you dreamed about making a trip to visit the Spoonflower HQ but just haven't found the opportunity? 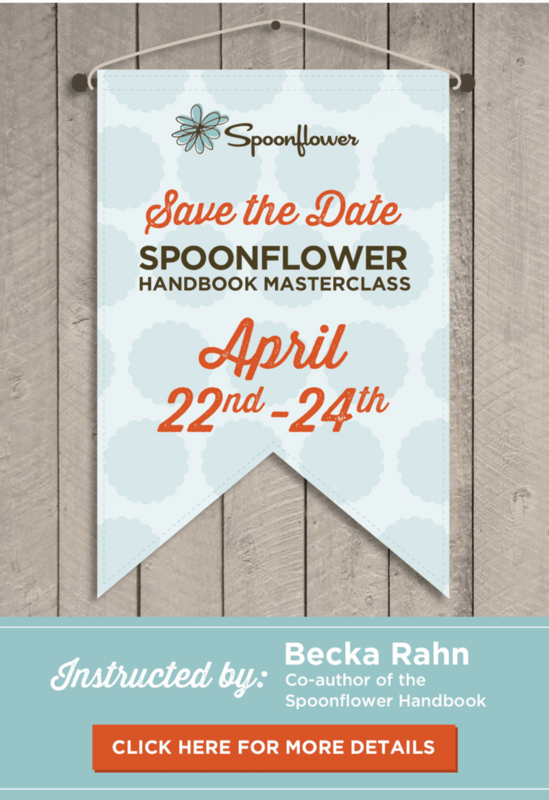 Let Spoonflower Handbook Co-Author Becka Rahn lead the way during the first ever Spoonflower Handbook Masterclass! [Read more…] about Register Today for the Spoonflower Handbook Masterclass! Ready to take your fabric design skills to the next level? Join Co-Author of the Spoonflower Handbook, Becka Rahn, for a weekend of designing with vectors! Click here for more details.